Cleaning and sorting through old stuff and ya never know what you’ll find. In an old truck of stuff my grandma had saved for me were these rationing stamps. Don’t know if she meant to put them there, but it gives me a chance to look up the history of fuel rationing in America. As the photo shows, these were for my grandparents’ 1929 Ford. According to historical records, fuel and other major commodities was rationed after the attack of Pearl Harbor, December 7, 1942. These A stamps allowed the general population to receive 4 gallons of fuel a week! Here’s a web site that gives a brief history of World War II rationing coupons. Feeling deprived? Make it real and stop driving after 4 gallons of petrol a week! For the past 15 years or so, we’ve had our calving season start about 18 May through first week of July. This worked pretty well, but since i have had scour problems the past two seasons, i was adamant about making changes, so i put the bulls in earlier. Thankfully, despite the earlier and shorter breeding season, most cows got pregnant again. Official calving season this year for me started 25 April, but already have 16 calves on the ground and up and running! Weather has been pretty nice until today with temps only reaching 46F and it’s misty rain and mild wind. Most people know that Walt Disney was born in Chicago, but was raised in Marceline, Missouri (just 15 minutes down the road from us) and that some of his famous parks include memories from his boyhood home. Keep updated on the Walt Disney Hometown Museum facebook page. What I just read about is that, on 3 Oct 2015, he was inducted into the International Space Hall of Fame as a U.S. entrepreneur, animator , and producer. According to the article in Group Tour Western magazine, “The Inductee Class of 2015 embodies the true spirit of space exploration by a group of men who, although they never went to space themselves, believed in the future and possibilities of exploring the universe.” (Chris Orwoll, New Mexico Museum of Space History executive director). “Best known for his work in animation and popular entertainment, Walt Disney created what is today the largest entertainment empire in history. In the mid-1950s, he worked with Werner von Braun on several iconic, “science factual,” animated films on science and science fiction subjects, most notably Man in Space, Man and the Moon, and Mars and Beyond. These were designed to be both educational and entertaining, which not only led to millions of people around the world learning about the future of space exploration, but also impacted the development of the United States space program and initiatives. Disney built several futuristic attractions to be included in Tomorrowland at his amusement park, Disneyland. His enduring interest in the future of space exploration was recognized in 1980, when a minor planet, 4017 Disneya, was named in his honor. Additionally, on view through 3 Jan 2016 at The Walt Disney Family Museum in San Francisco is “Disney and Dali: Architects of the Imagination.” Check out more information at the Walt Disney Family Museum. Or call them for bookings (415) 345.6853. My son, Nathan, is guest writing today! Standing on a faded red and white thirty foot tall tower, the white Charolais bull statue at the junction of Highways 5 & 36 in Laclede, Missouri, is a local legend. Erected in 1972, the statue has for many years informed passersby of the location of Lamme Farms, the now-defunct ranch once run by June Lamme and her late husband, Bill. 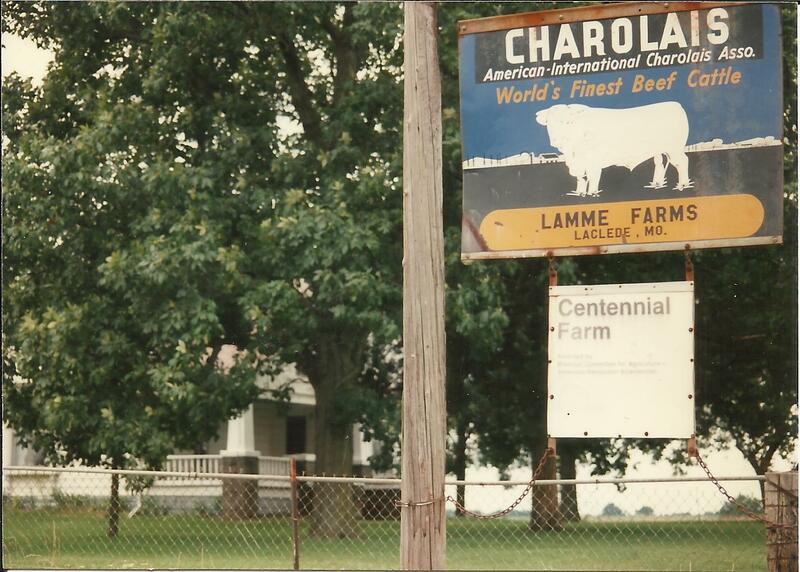 Despite the statue’s landmark status, many people have forgotten that Lamme and her husband were instrumental in the introduction of Charolais cattle into the region. Initially, Lamme’s husband raised Charbray cattle, a Charolais-Brahma cross developed in Mexico, but Lamme says, “They were really touchy. They wouldn’t let us pet them, we couldn’t get close to them.” Their experience with the Charbray taught Lamme and her husband they would prefer to work with a breed that was more approachable. Finally, in the early 1950s, her husband made the decision to “breed up” to full-blood Charolais, which was a tamer, gentler animal. He then bought full-blood Charolais from the Wrigley family in California. When asked if she meant the family that founded Wrigley Company, Lamme exclaimed, “Yes, and Bill always said it like that, ‘Wrigley Chewing Gum people is where we got our start!’ ” With this choice, Lamme Farms became one of the first breeders to introduce pureblood Charolais into Missouri, along with the McGinnis brothers of Lathrop, Missouri, and the Litton Charolais Ranch of Chillicothe, Missouri. Lamme and her husband then joined the American-International Charolais Association, or AICA, a registry designed to prove the pureblood pedigree of Charolais cattle. This required them to send in paperwork and documentation for every animal to the headquarters of the AICA, which at the time was in Houston, Texas, but was later moved to Kansas City, Missouri. She remembers travelling with her husband to the international meeting in Phoenix, Arizona. Lamme tells how one year she and her husband were invited by their hosts to dinner at their host’s home in the mountains, “We could look down and see Phoenix, and see all the lights. This was quite an experience for me.” She sweeps her arms apart as she speaks, to symbolize the magnitude of the view, and her eyes sparkle as she stares into the distance. 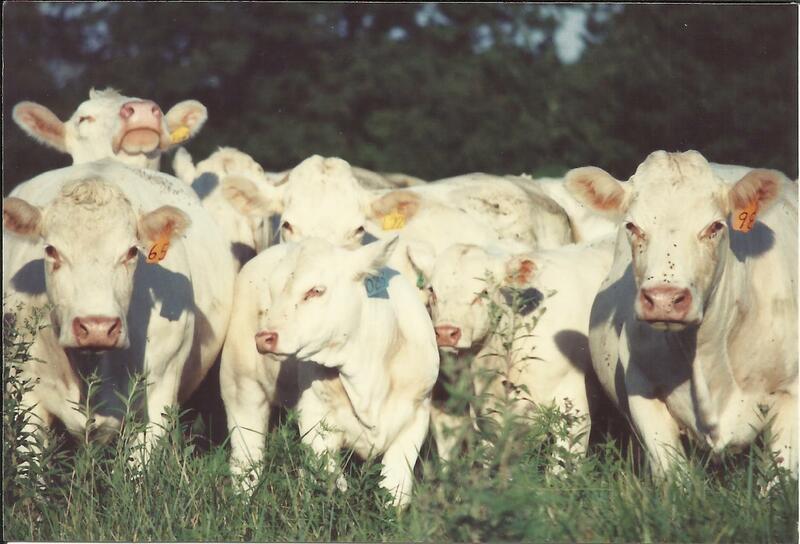 The Lammes also worked to promote the Charolais breed as a whole, and in 1963 they helped found the Missouri Charolais Breeders Association, or MCBA, an organization devoted to the promotion of Charolais cattle. Lamme laughs as she passes on the wisdom of her husband, “Bill always said it’s easier to sell someone else’s cow. You can brag on it and it doesn’t sound like you’re the one bragging.” Mr. Lamme would be elected to the first board of the MCBA, and would later serve as president of the organization. The Lammes sold their herd, and after everything they had done to promote Charolais, they were now out of the business. Mr. and Mrs. Lamme would go on to start the Green Hills Travel Center and would lead tours around the world together until Mr. Lamme’s passing in 1991. Now, many people have forgotten the history of Lamme Farms, and this story ends where it began, a lonely white statue atop his tower, watching over pastures long void of his kin.